How do I know that Management in Aging Services is right for me? 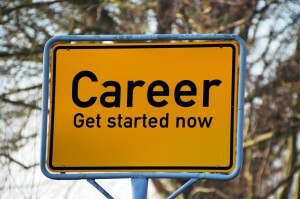 How do I prepare for a career in Management of Aging Services? What are some professional associations? I’m looking to change my career; how do I take the leap? You have the desire to combine your profession with purpose, and you would like to be involved in meaningful work. You have a life-long affection for older adults, or you grew up in a multi-generational home, and have been around positive role models. You are interested in a high growth industry – according to the U.S. Bureau of Labor Statistics, the number of jobs in gerontology-related fields will increase by more than 36%. Longevity Economy (all activity serving the needs of Americans over age 50) will generate 100 million jobs. By 2050, 20 percent of the population will be age 65 or older. As Americans live longer, they will also be healthier, and the length of “middle age” period will be extended. This opens up opportunities for new products and services that will cater to their needs. You may be in a field that is impacted by an aging consumer, and you want to develop a specialization in older adults, and position yourself as an expert for your customers or clients. Senior Living including Continuing Care Retirement Communities (CCRC), Assisted Living and Skilled Nursing – in addition to health care positions, there are increased needs for marketing, sales and hospitality within senior communities. If you have an interest in working with, (or on behalf of), older adults, earning a Master’s degree in Aging Services would help hone those skills. This degree will build on your current experiences and skill sets. Students’ various backgrounds and unique experiences offer many perspectives and learning opportunities.